I’d love to put a little Christmas spirit in your step, quite literally. 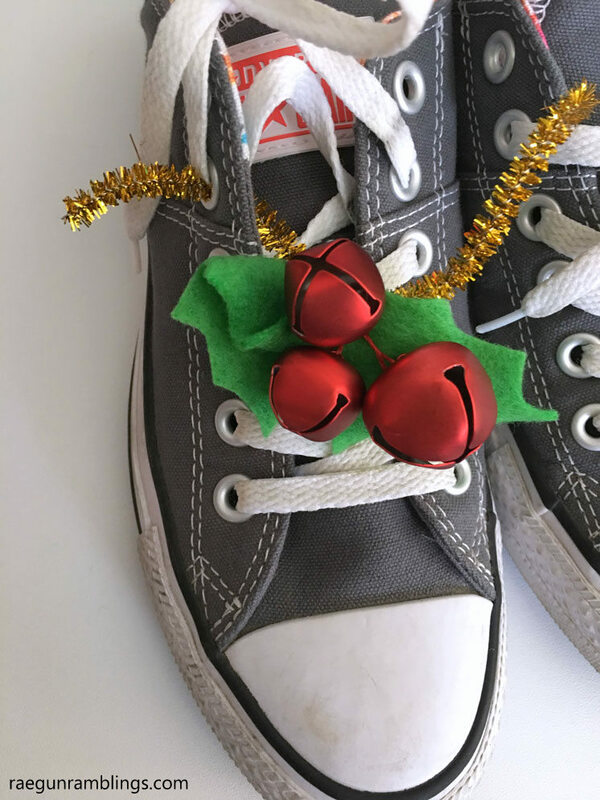 I made these adorable DIY Holly Shoe Jingle Bells and I’m giddy about how they turned out. Today I’m joining in on I Heart Naptime‘s annual Crazy Christmas Event. Every year Jamielyn invites loads of talented bloggers to share tons of awesome crafts, recipes, and printables perfect for Christmas. 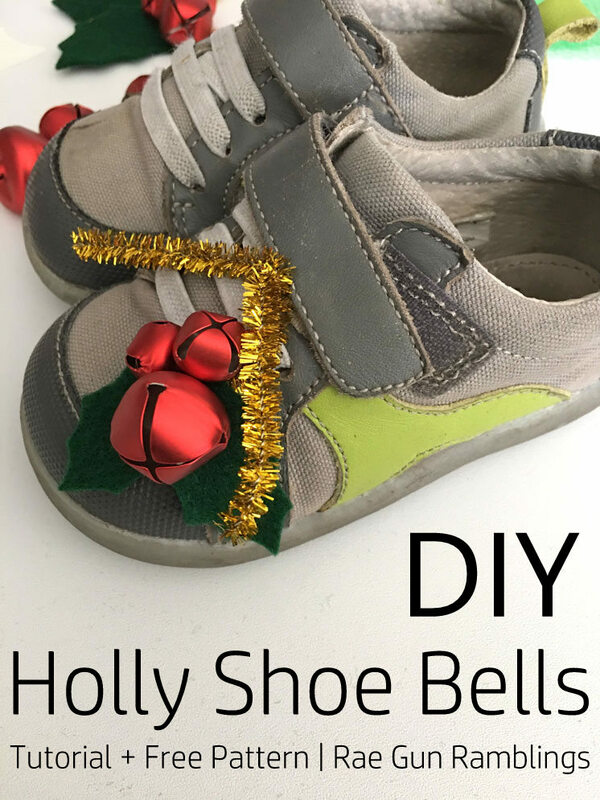 Hop over to see how I made these fun Holly Shoe Bells. P.S. 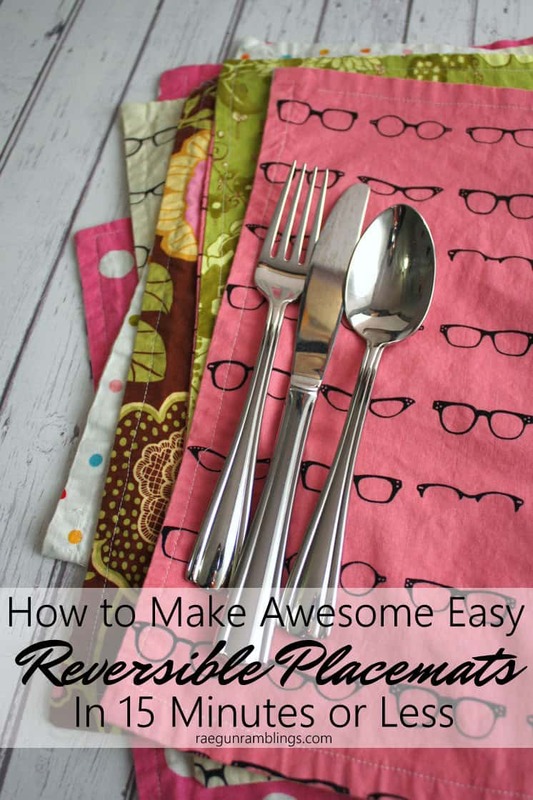 I made the pattern in 3 sizes baby, kiddo and teen/adult. 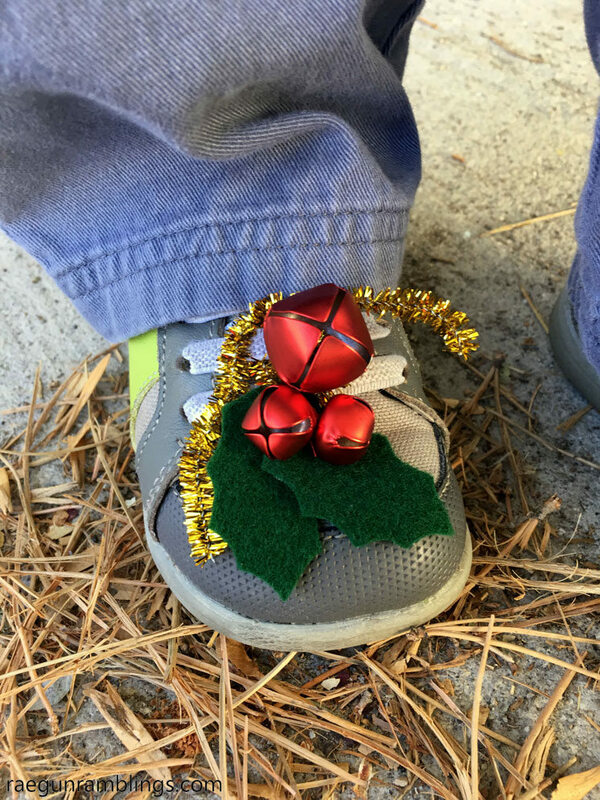 I love the festive little jingle the little holly adds to every step. But more than that I love how quick and easy this little craft comes together. 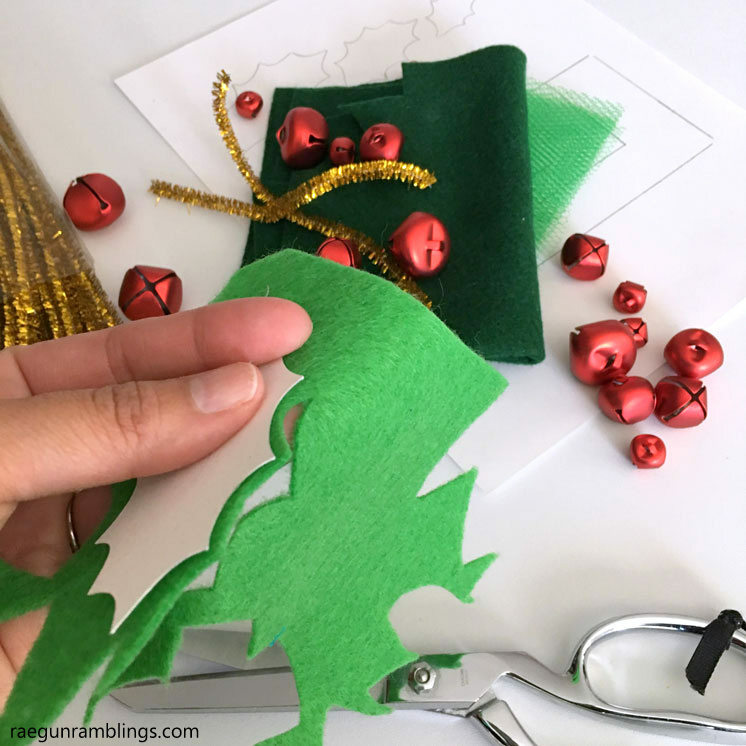 This is easy enough that even elementary school kids who can do basic hand sewing could make their own if you help them cut out the leaves. Cut 2 holly leaves out for each shoe you want to dress up. 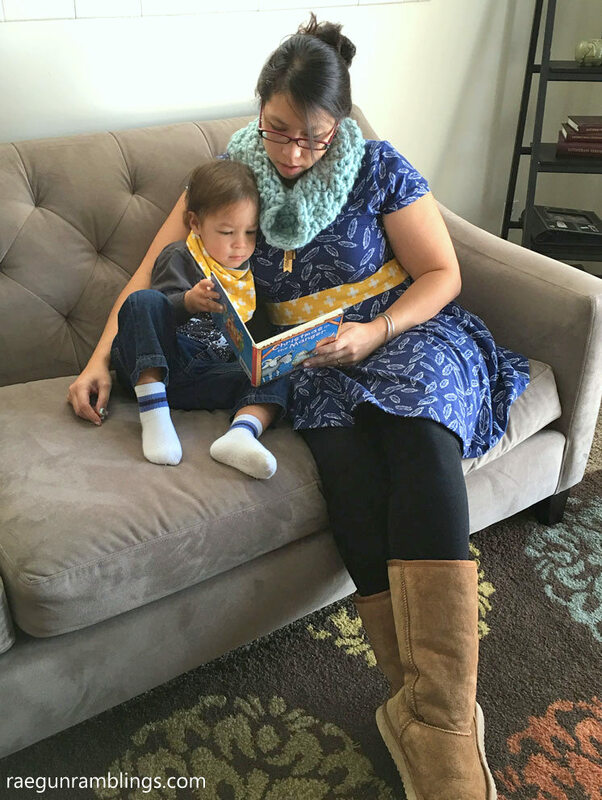 There are three sizes on the pattern so they can work for baby shoes, kids, and teens/ adults. Cut a pipe cleaner in half and then fold that in half to find the middle. Sandwich the middle of the pipe cleaner between the points of two leaves. Take a couple stitched to sew the pipe cleaner to the leaves. 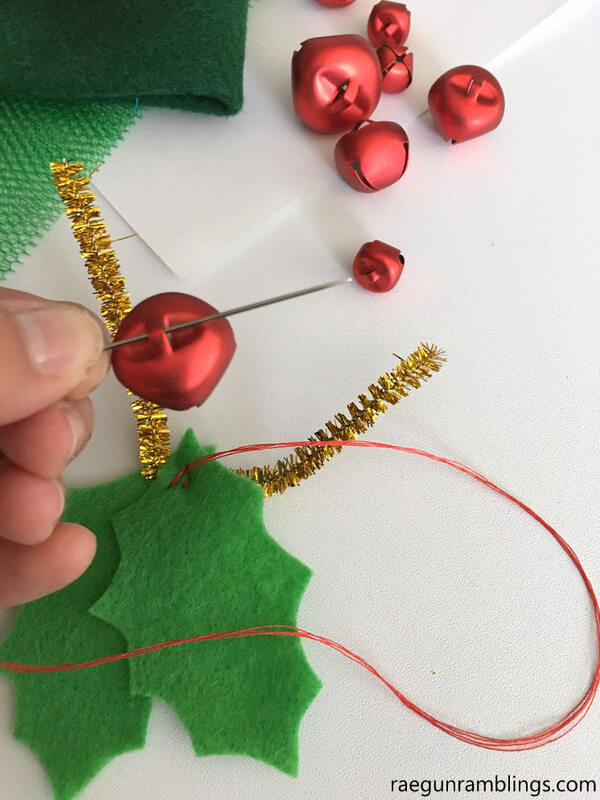 Thread one bell onto your needle and stitch in place. Repeat for the rest of bells. 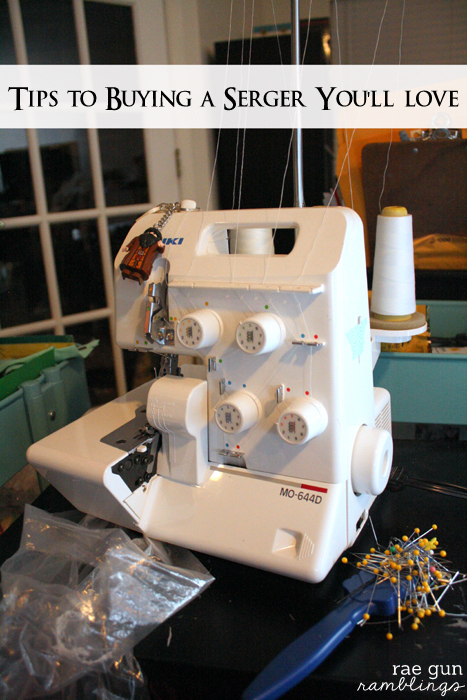 Take a couple extra stitches to secure the sewing in place before knotting. This will help prevent the stitch from pulling through if the bells get man handled. 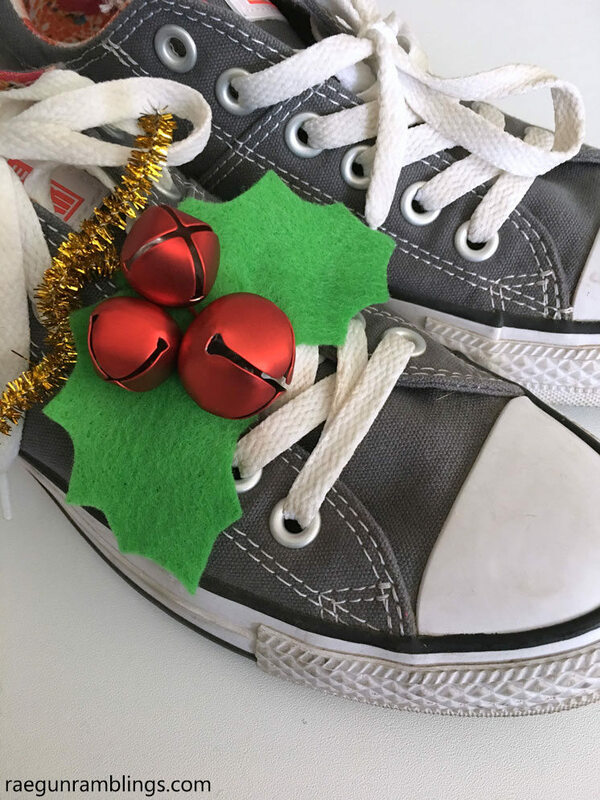 Secure the bling to the shoe by threading one side through a shoelace hole and twisting. 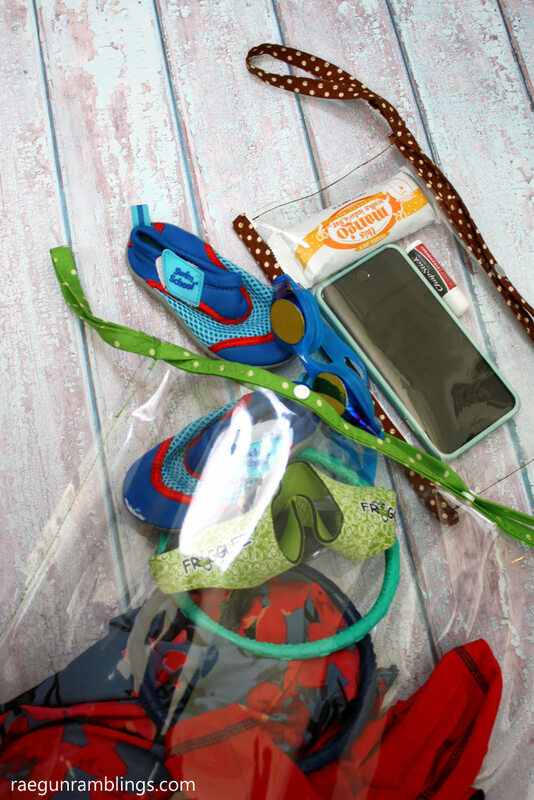 Alternatively you can simply slide the pipe cleaner under the shoelace and twist to fasten it in place. 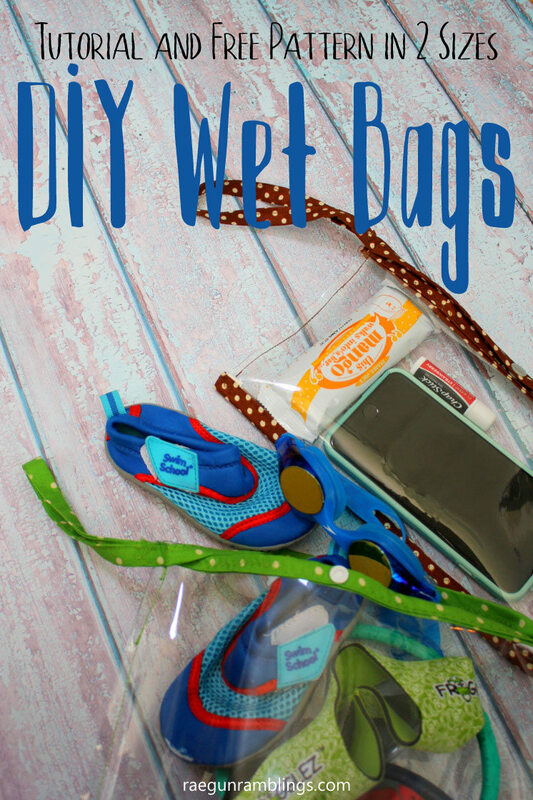 I think these turned out so stinking cute. 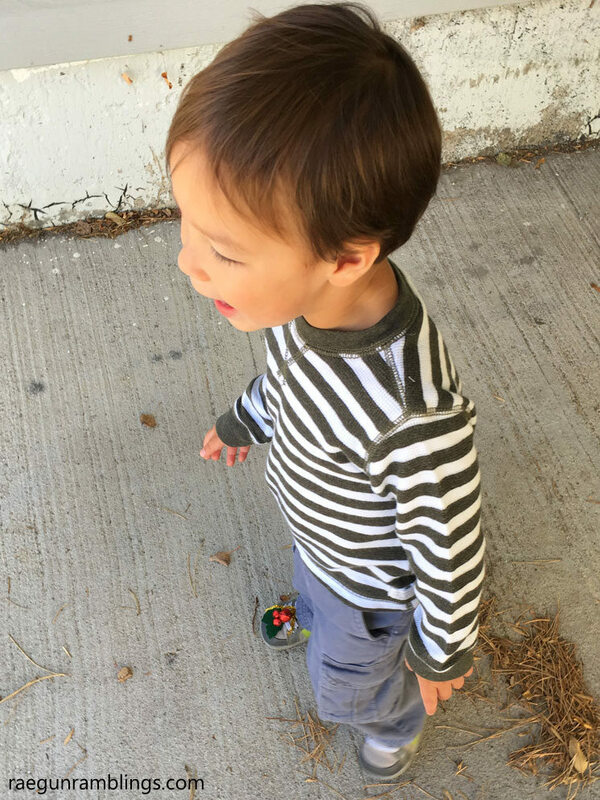 My 2 1/2 year old little boy got SO excited when I put one on his shoe he LOVED dancing and spinning around. And as adorable as I think it is I love that when we went to watch his cousin’s gymnastic competition I could quickly and easily remove the holly so we wouldn’t be disruptive. I think one of the reasons I love making handmade ornaments is that they tend to be really fast projects. 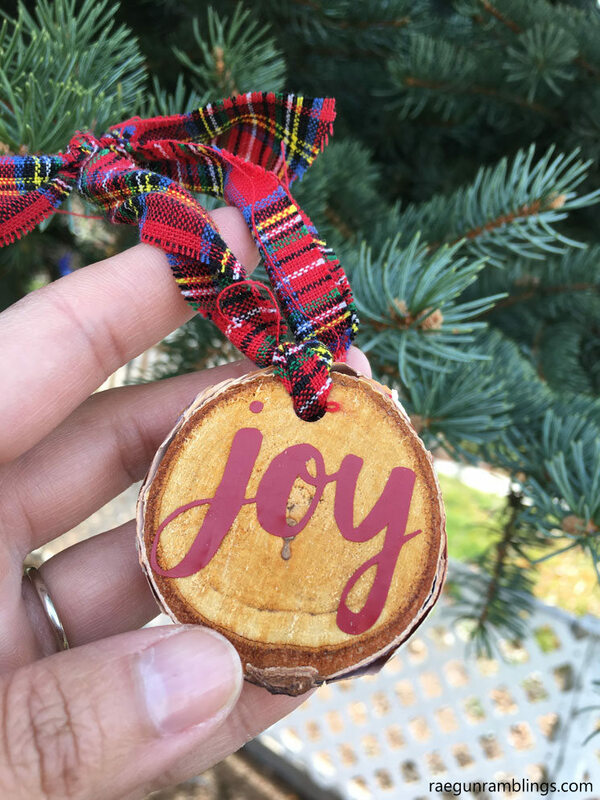 This Wood Slice Joy Ornament is no exception. I made glitter wood slice ornaments a few years ago and really love them. 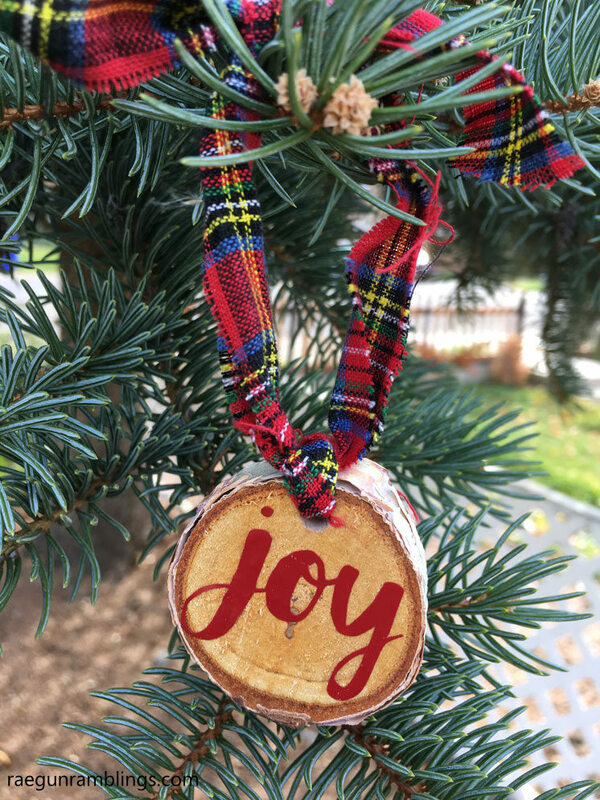 This joy ornament is an even simpler version of it. Weed design and apply transfer tape. Place design on wood slice. Drill a hole in wood slice if yours didn’t already come predrilled. So easy right!!! And if you’ve got a fear of power tools you can just glue the ribbon/fabric to the wood slice. 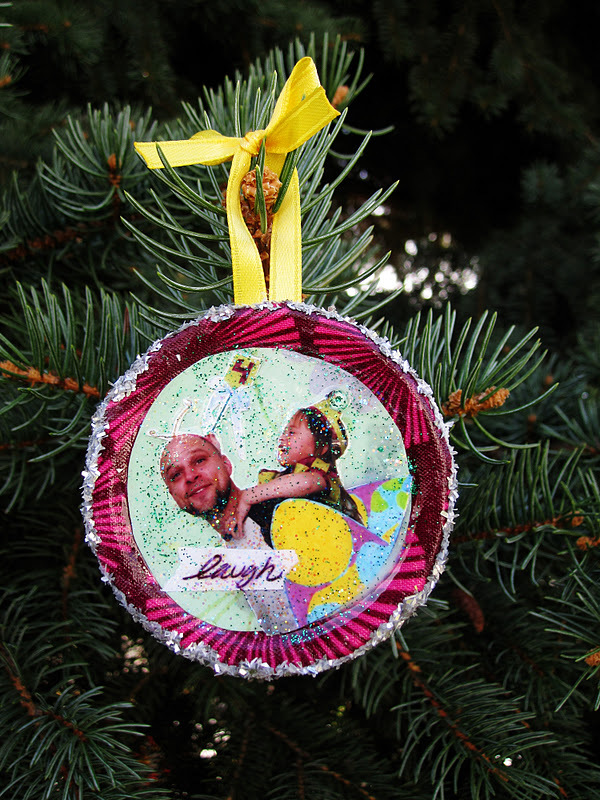 Want more great handmade ornament tutorials? 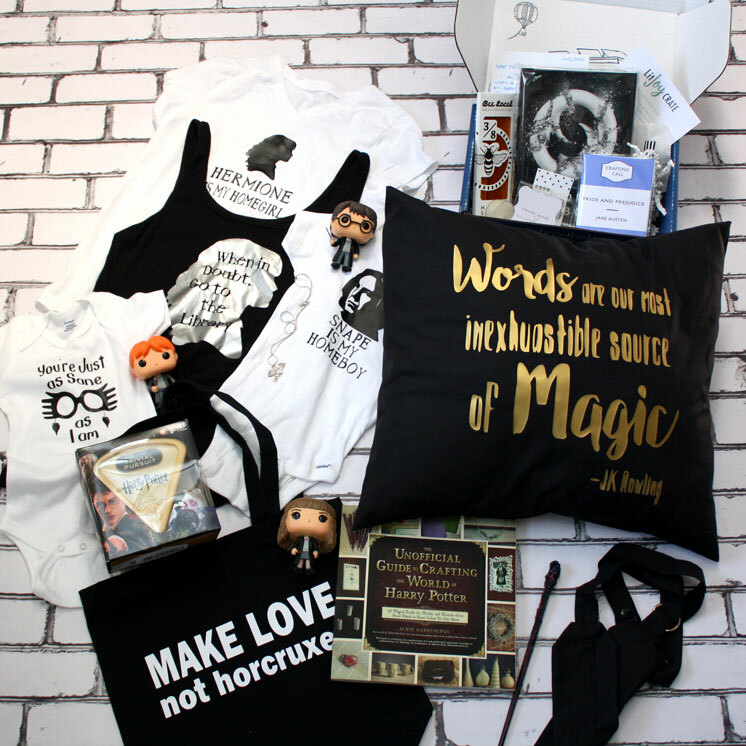 Check out these from my friends! 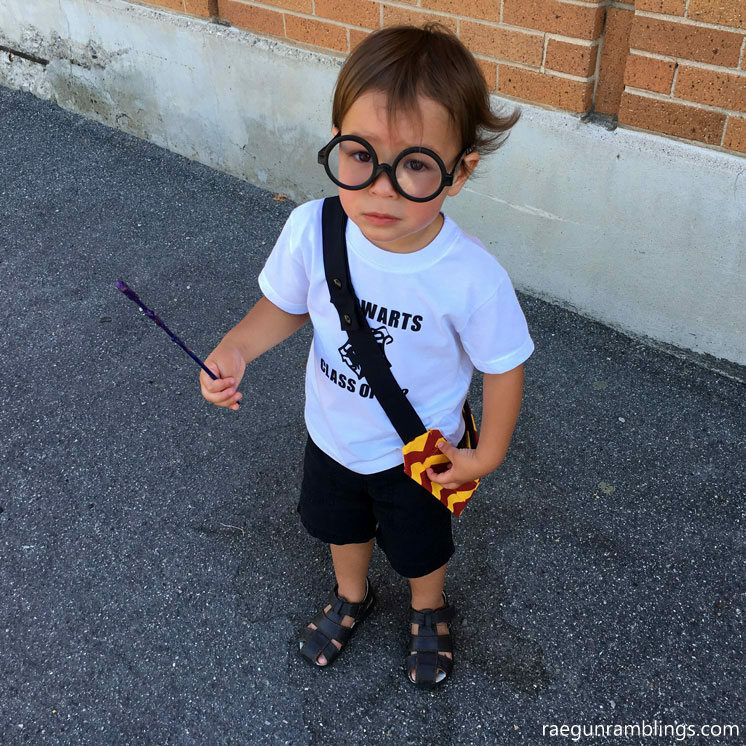 Are you ready for awesomeness? Get this, it’s a double potholder that also is a towel. 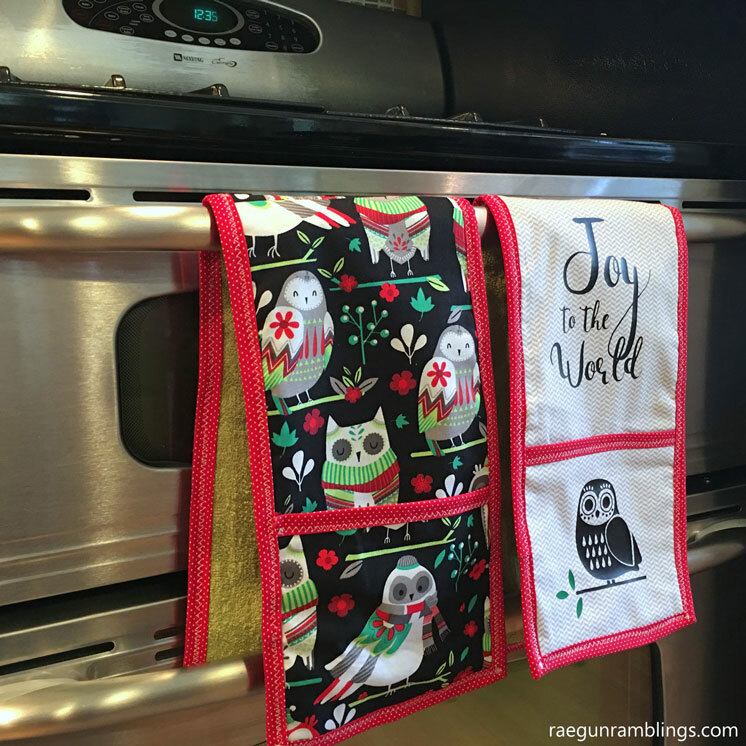 It hangs on your oven and no your family won’t use it to clean up gross spills or throw it on the floor when ice melts so you never have a towel to dry your hands. 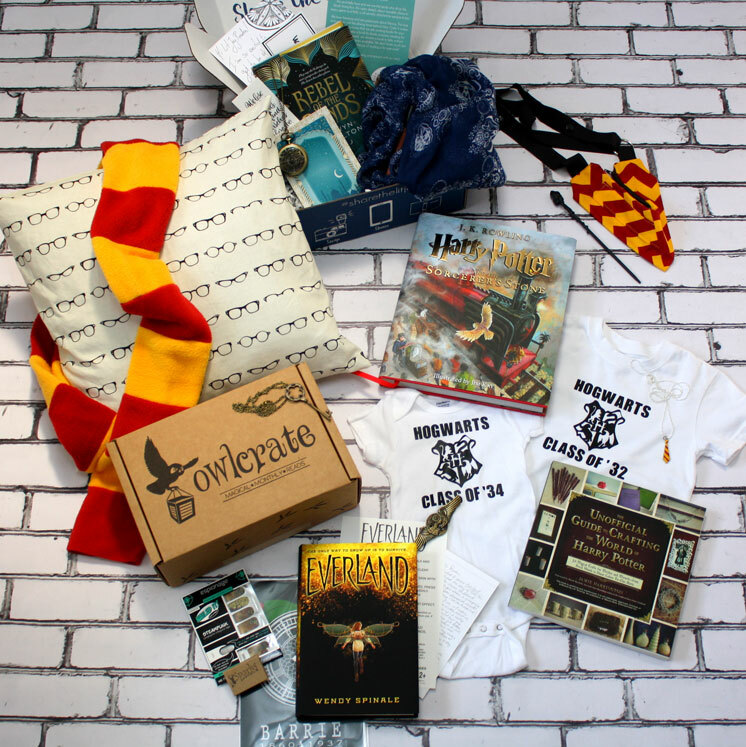 Okay that might have been a bit ranty but you guys I’m so excited about this little creation of mine. 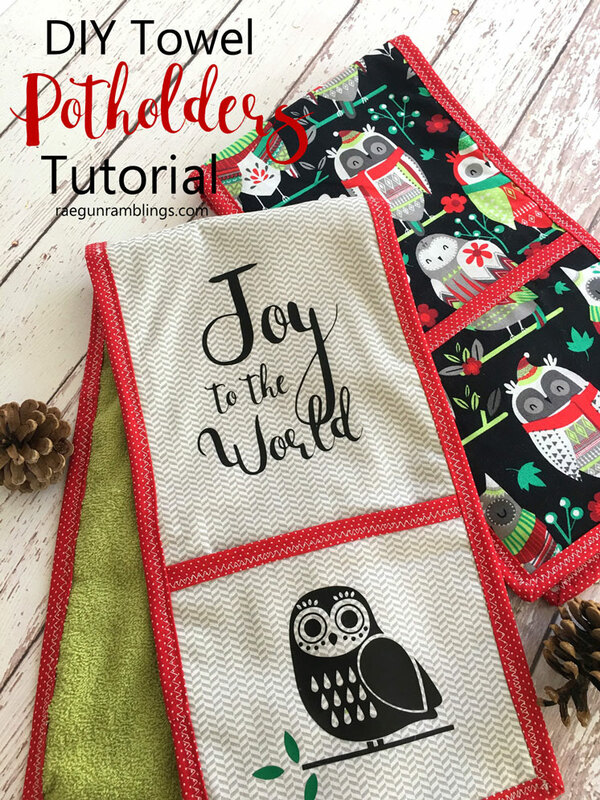 I’m joining in on Skip to My Lou‘s annual Christmas Craft Bake Sew series sharing how to make these fun little Christmas Potholders. I just adore it. 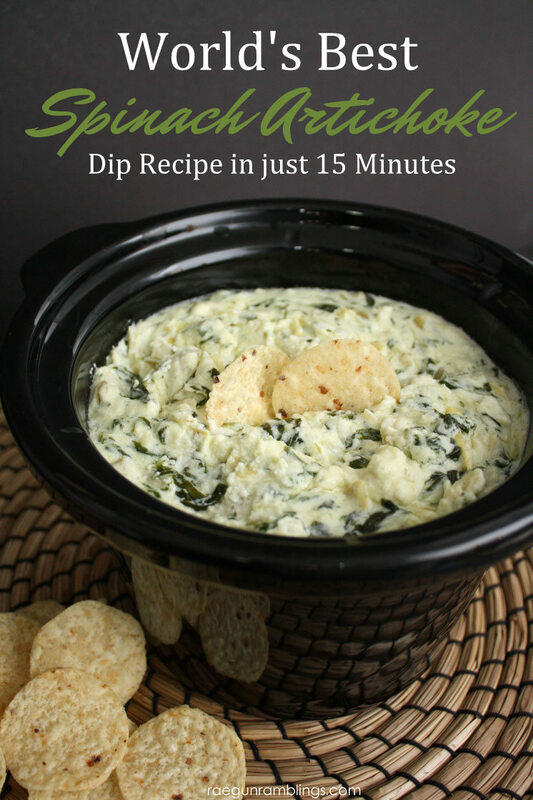 Plus it’s insanely quick and easy to make. 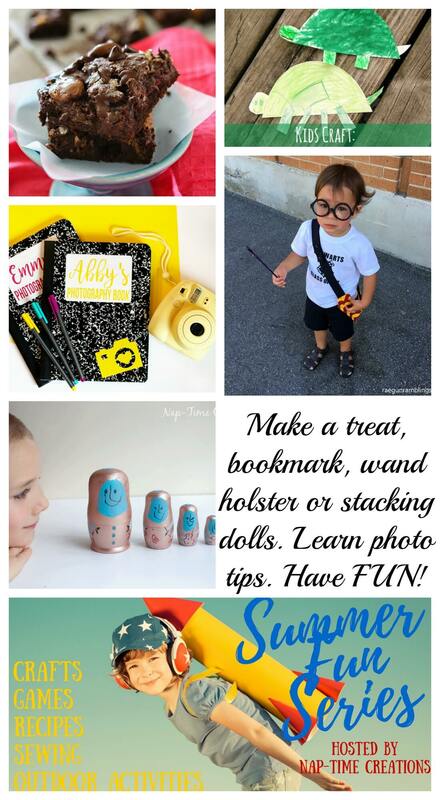 Hop on over to Skip to My Lou for the full tutorial! My sister has already demanded that I make her a set of her own. 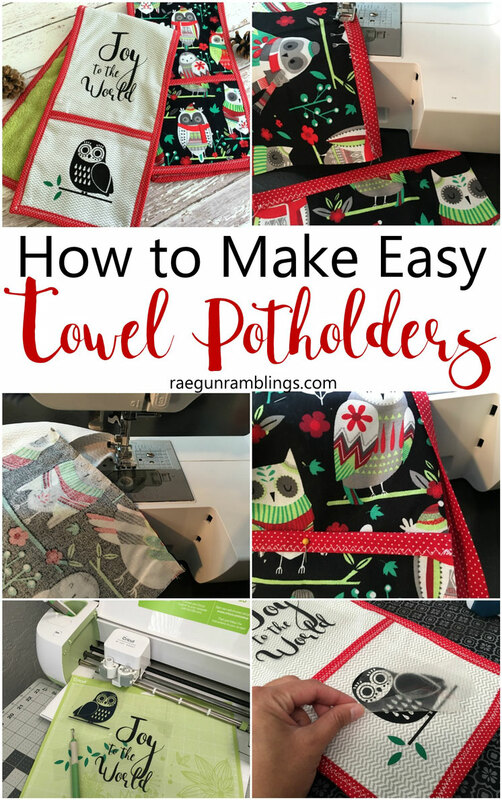 These little towel potholders would be darling for your own holiday decor or as an easy hostess gift. 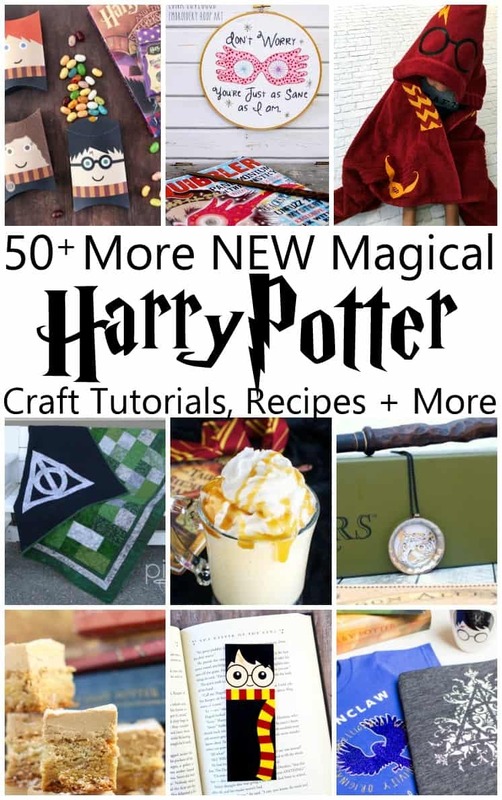 It sews up so quickly I will definitely be making myself some versions for every season. I especially love that I used terry cloth for the underside so as it hangs on my oven I can use it to dry my hands after I use the sink but unlike most kitchen towels I won’t find it crumpled on the floor or used to wipe up a spill since it looks nice and is obviously a potholder too. 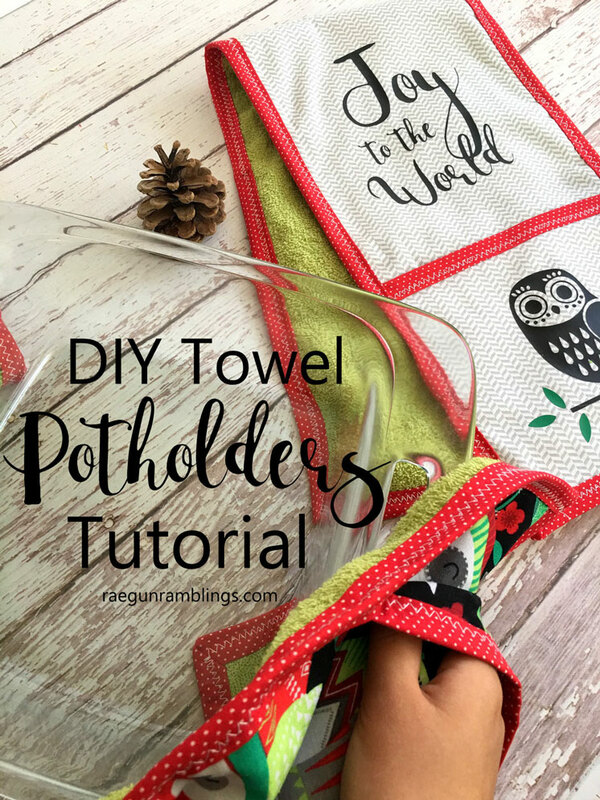 The measurements given will be for one potholder towel. But if you buy 3/4 yard of terry cloth you will have enough to make 3. I cut the terry cloth out of one piece instead of two like I did for the main fabric to reduce bulk but if you want to buy less fabric you can do the terry cloth just like the main fabric. 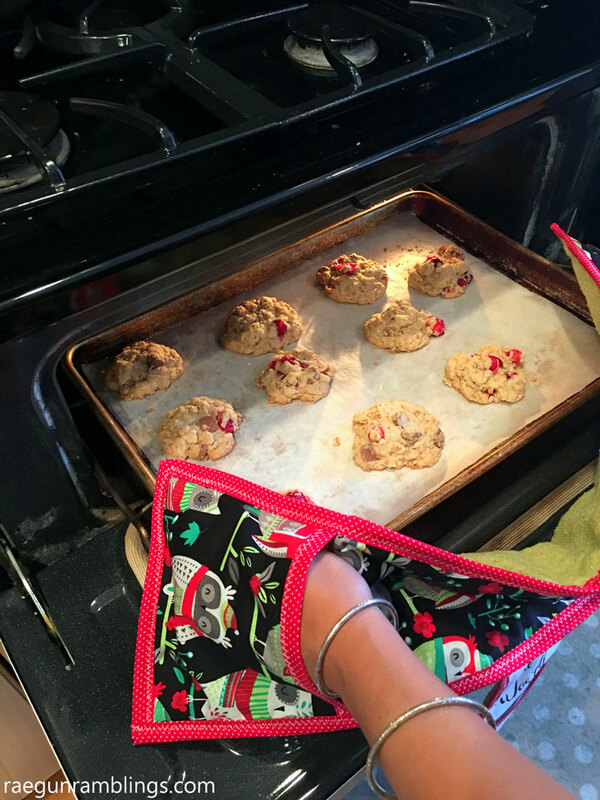 Note: You can add a layer of special fabric made for pot holders that will make it even more heat resistant but I tested these out and for me the heat did not come through the cookie sheet. 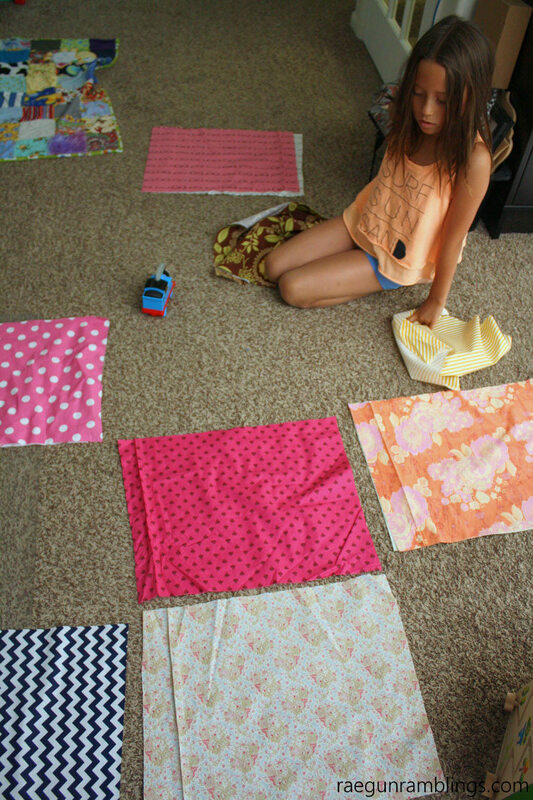 If you want to do that just cut a piece the same size as the two fabric and in step 3 layer that between the terry cloth and main fabric. Cut two pieces of bias tape 7 inches wide. 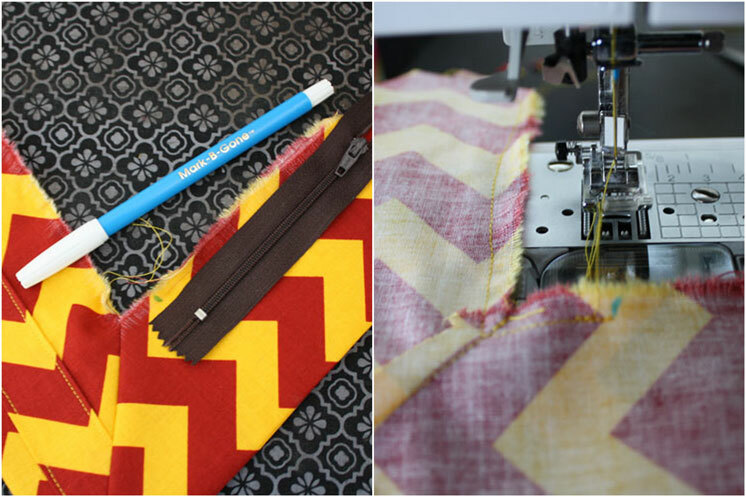 Sandwich it around the top edge of both pocket pieces and sew in place using a zig zag stitch. With right sides together stitch the top edges of the main fabrics to each other. 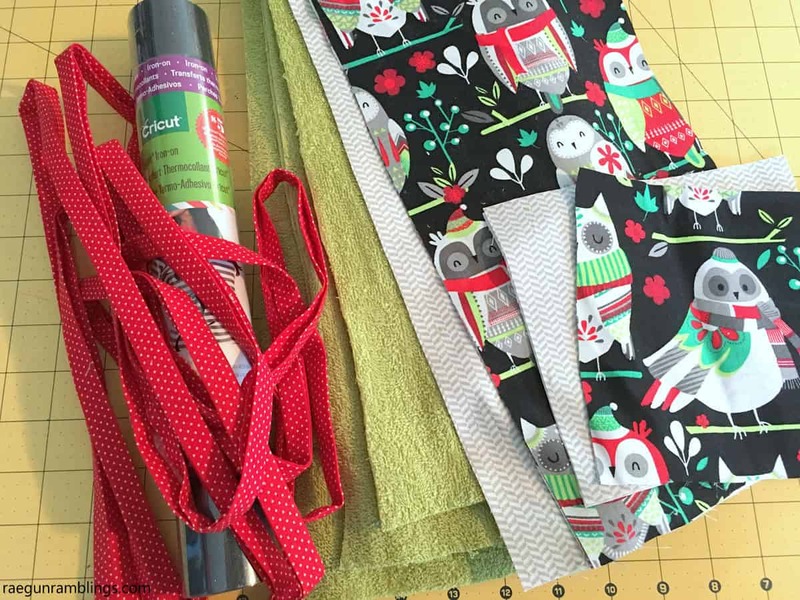 If your fabric is directional like my owl one make sure the TOPS of the fabric are touching each other. Layer everything. Start with two layers of terry cloth, then the layer of main fabric with the right side of the fabric facing up and then the pocket pieces also right sides up. Pin in place. 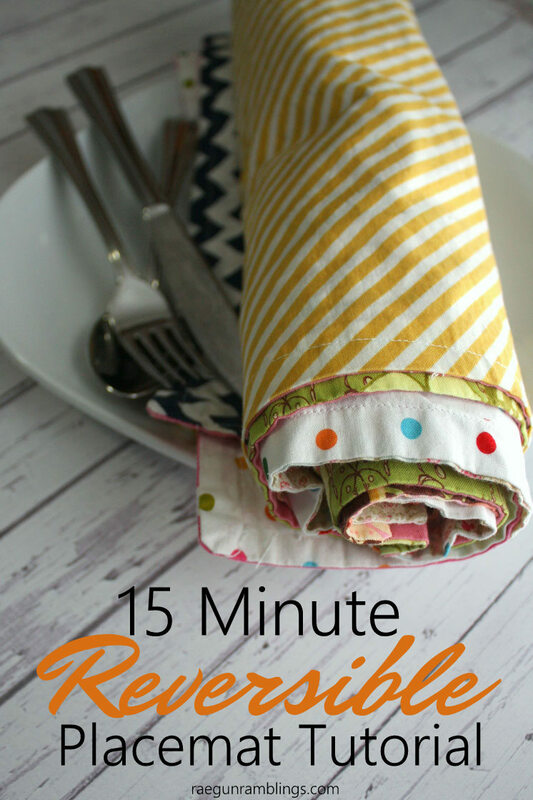 Sandwich the layered fabric between the folds of bias tape and sew with a zig zag stitch all the way around making sure to catch all the layers. When you get to a corner just tuck it in to form a triangle fold (sort of a mitered corner). Now you are good to go. 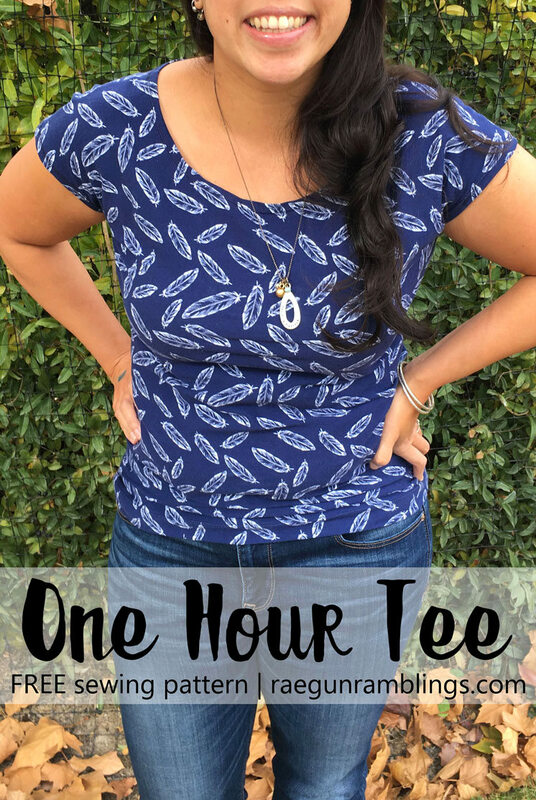 If you want to add a fun design like I did on the Joy to the World one you can cut out some heat transfer vinyl on a cutting machine like a Cricut and iron it on. 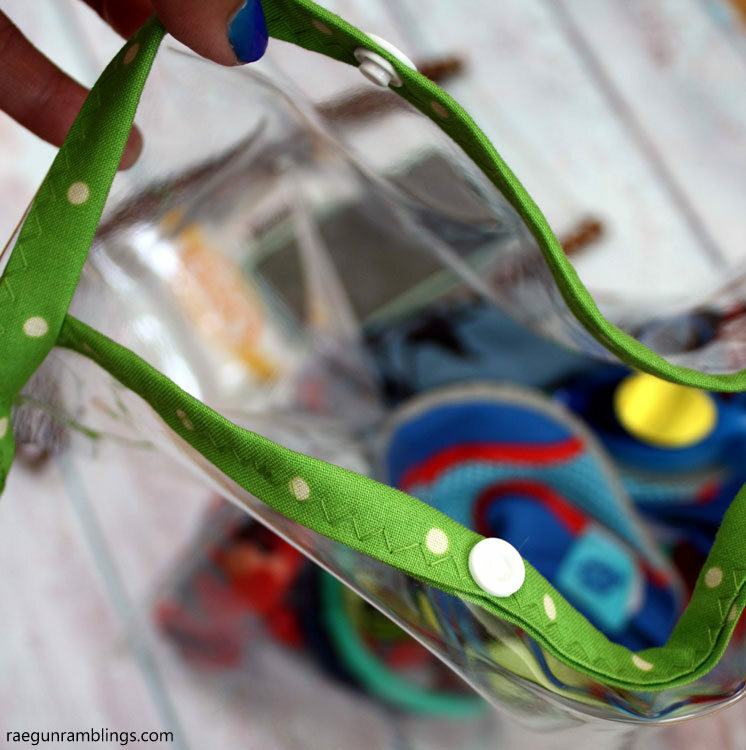 Check out my step by step iron-on vinyl tutorial. 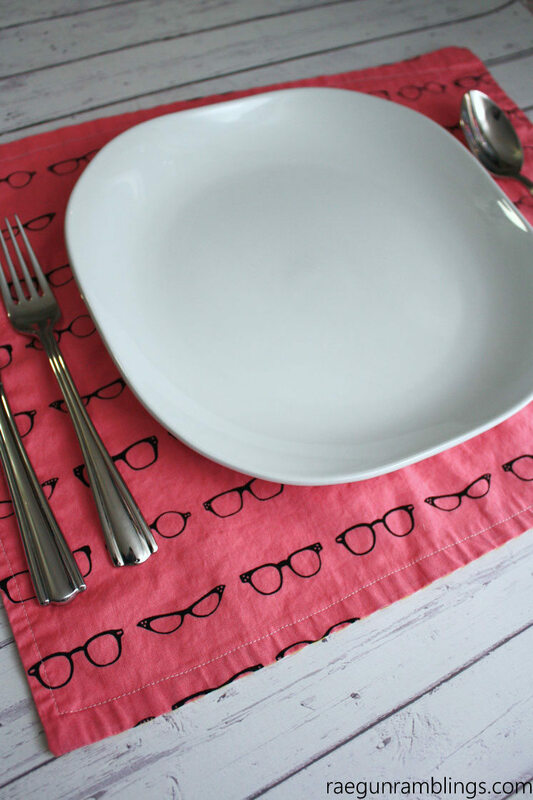 If you’re not familiar with the stuff it’s one of my favorite ways to personalize my sewing projects. 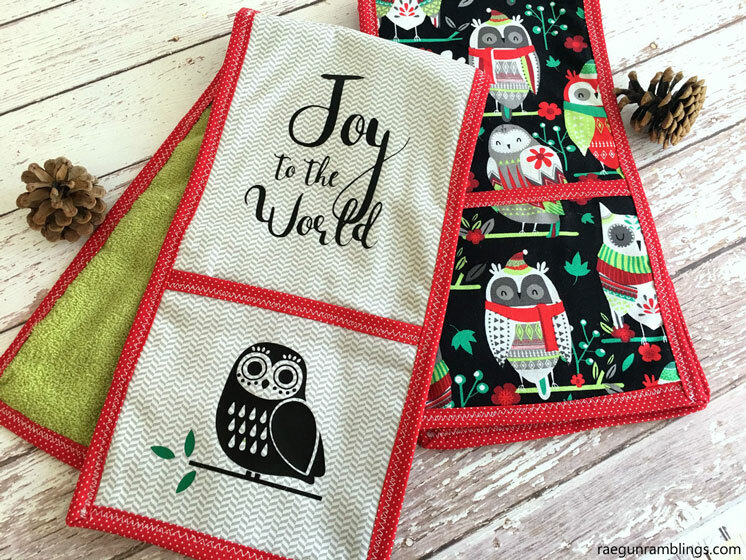 Super cute right and with all the darling holiday fabrics out there you can make ones to suit any type of style or color scheme. 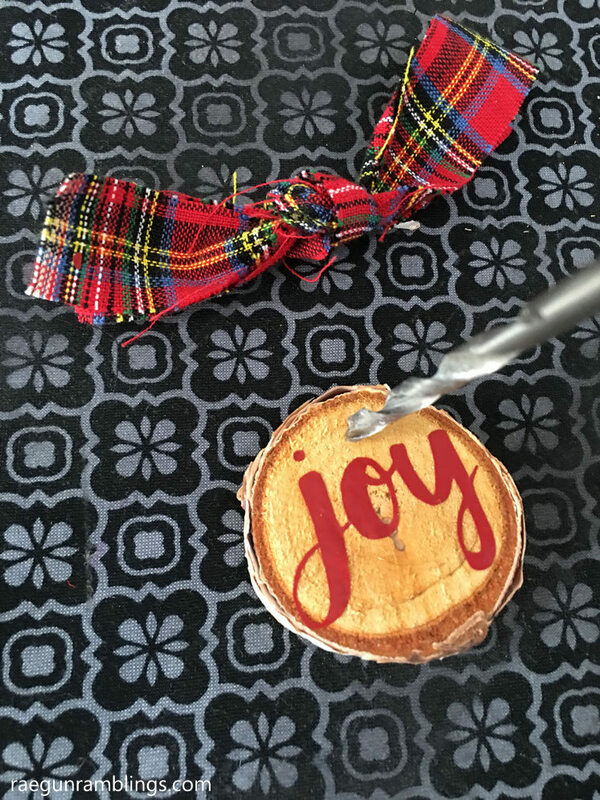 I have tons of Christmas crafts and recipes but here are a few of my favorites! 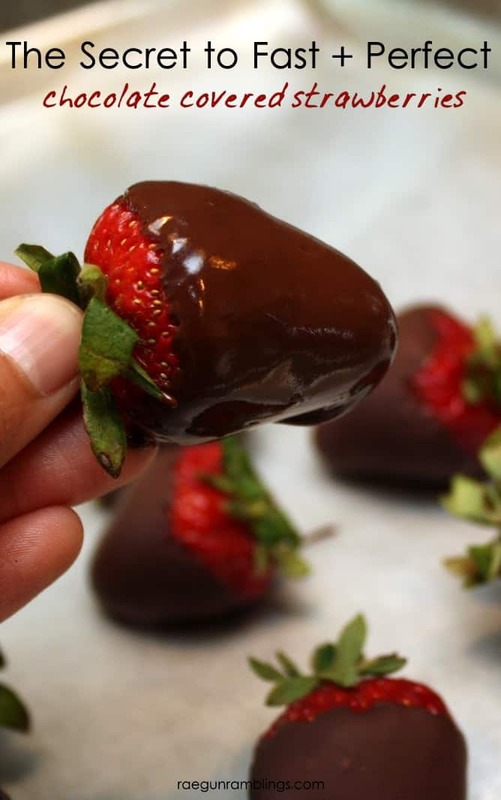 Love these Chocolate Covered Strawberries during the holidays! 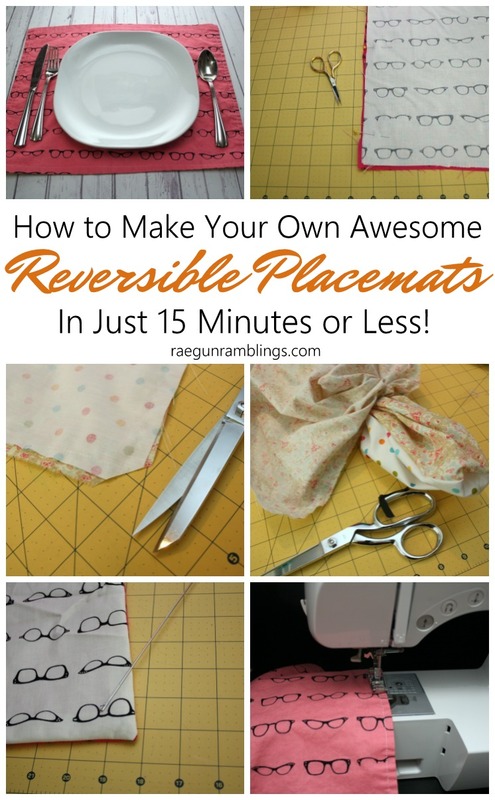 These DIY Reversible Placemats would be great with Thanksgiving/Christmas fabrics. 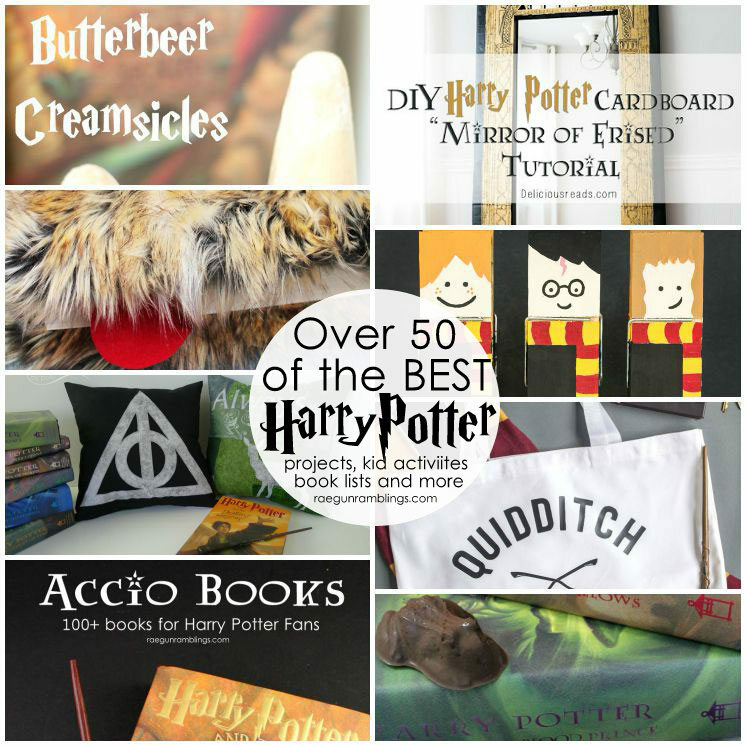 Tons of great Harry Potter Crafts, Recipes and More which make great gifts! 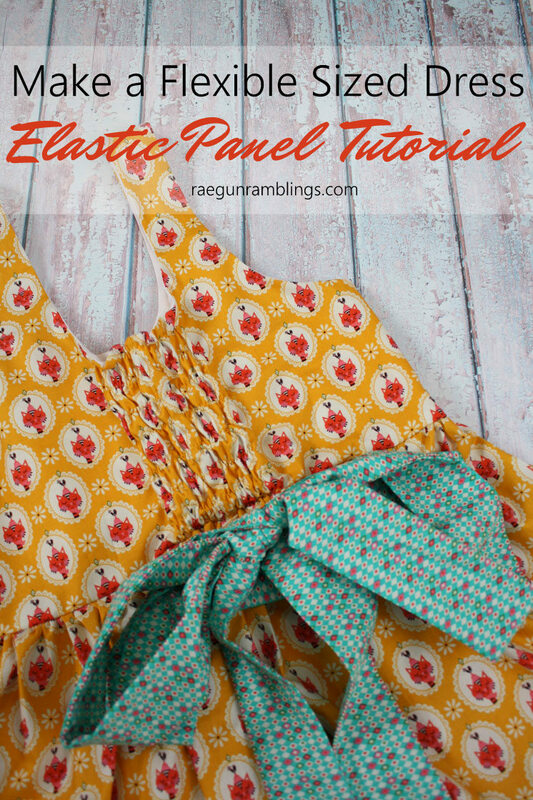 Whether you want those handmade dresses to fit a little long, are pregnant, or just fluctuate in weight, this Elastic Back Panel Tutorial will be your new best friend. 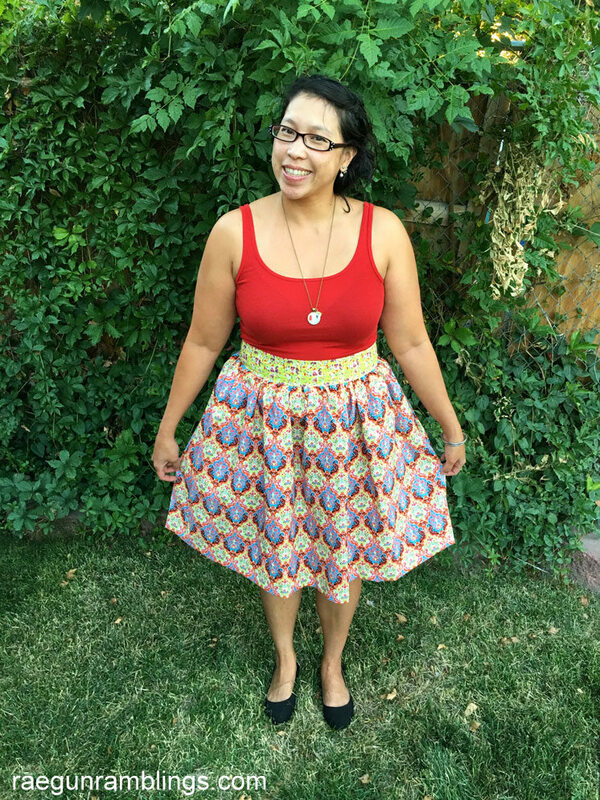 It seems one of the main reasons so many of us put off sewing for ourselves is that we aren’t what we view as the optimal size. 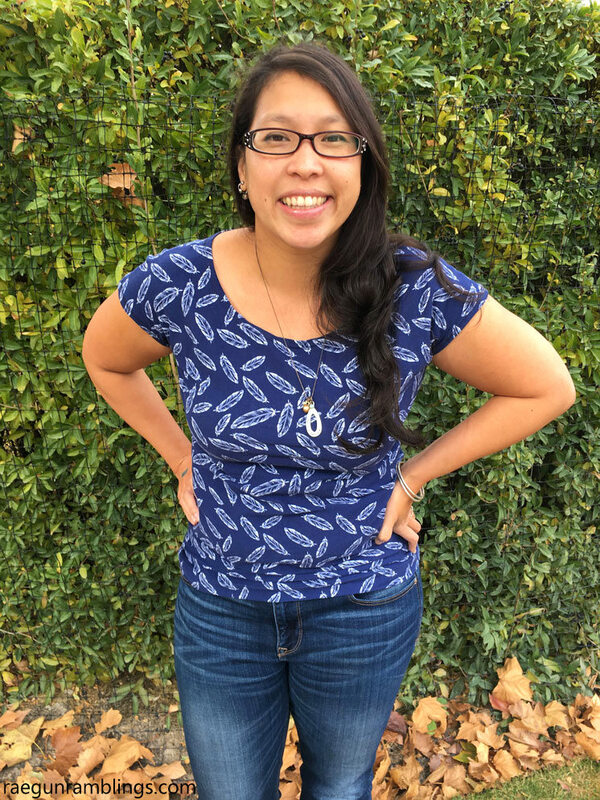 I know that I’m bigger than I’d like and the idea of putting all the work into making a dress that I honestly hope won’t fit for long doesn’t sound appealing. 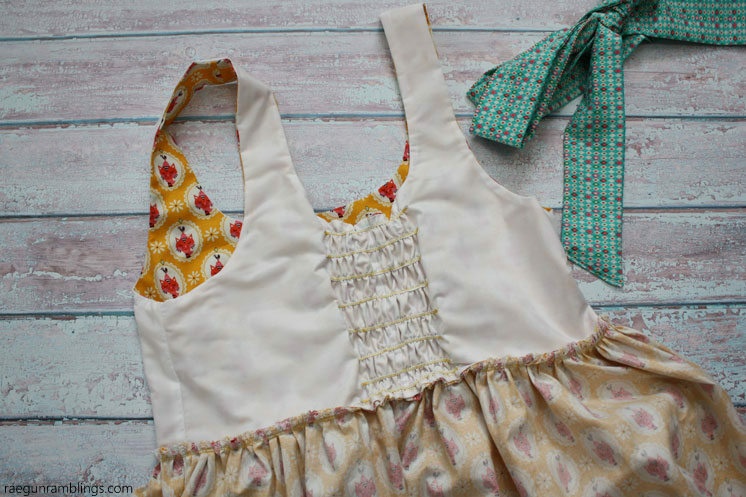 Sure I can sew with knits but sometimes I just want to use a cute woven cotton like these amazing Vintage Kitchen prints from Riley Blake. That’s why I love this little trick for making part of the back stretchy. As a bonus you don’t have to deal with a zipper or buttonholes. I did this to dresses I made right before and during my pregnancy and I can still happily wear the same ones I did at 9 months pregnant and I’m probably 35 lbs lighter now. So that is some decent wiggle room! 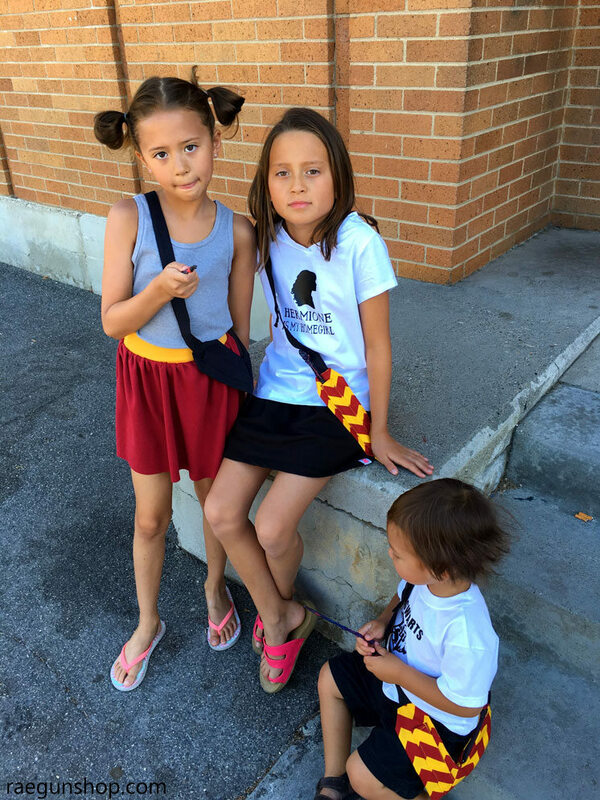 I actually started using this trick years ago to all the nieces’ dresses (for example here and here) I made for them. It makes the fit last for super long like they have worn some of their dresses for 3 full years. 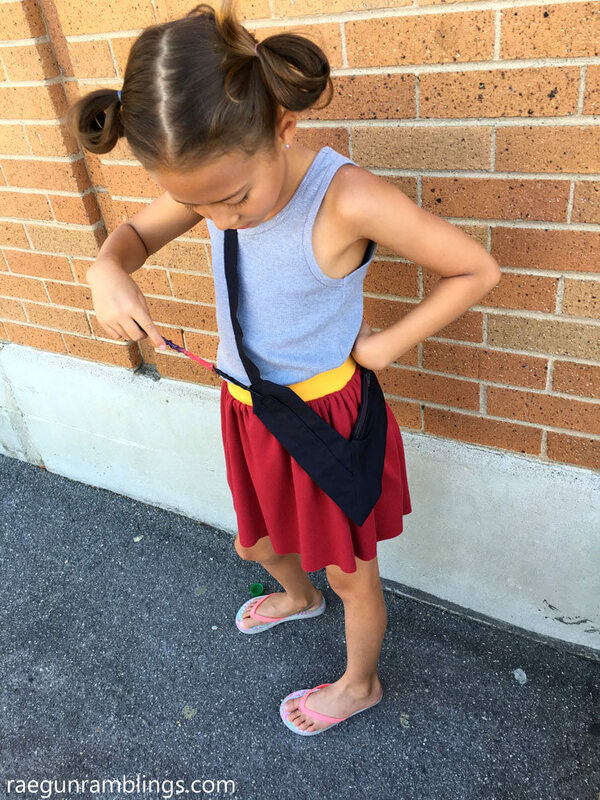 As long as you start with a generous skirt length as the kids grow the stretchy back will allow for room and it will just be a slightly shorter dress. 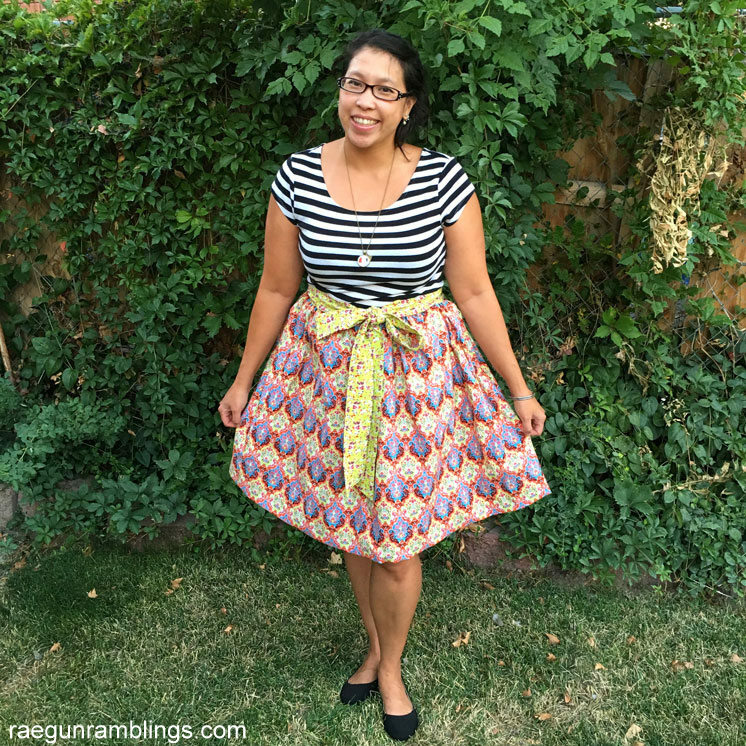 You can do this to pretty much any dress pattern that has a bodice attached to a skirt. What you need to do is convert your bodice back piece so that it’s the finished width plus about 4.5 inches. That will give you 4 inches for the elastic panel and 1/2 inch seam allowance. So read through the direction of your pattern if it’s made for you to put in a zipper see how much is allowed for that subtract it and then adding 2.25 inches to the center back edge. 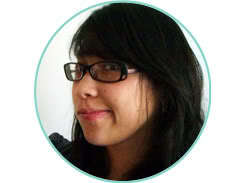 Alternatively you can take a bodice back that you have used with knit (stretchy) fabric and add the 2.25 inches to that. Note I prefer to do this with bodices that are lined or single layers without facings. Basically you can’t have weird pieces hanging underneath (or you probably could but it would be annoying). Bodice pieces included your adjusted bodice back pieces. The first step is to put your bodice together so you can do it how you prefer. 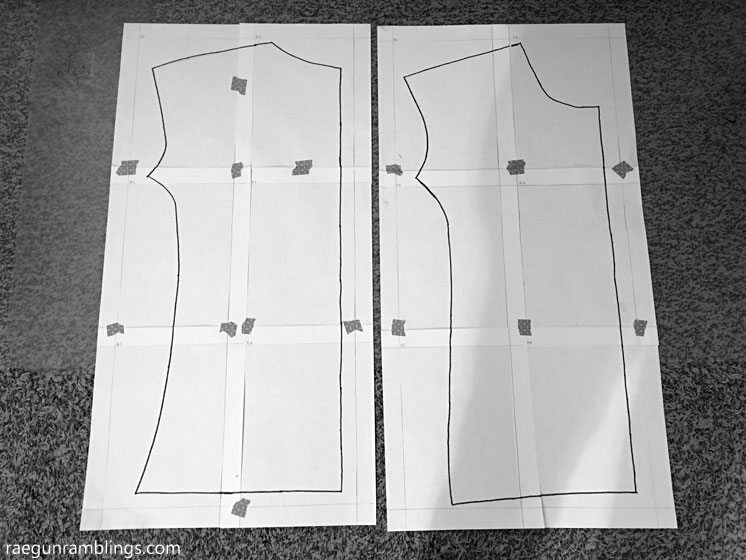 I’m just going to give the directions for a lined bodice like I did here. You can do sleeves set in or sewn in before side seams you just need to have a finished bodice with 4 inches extra space in the back to put in the elastic. I do 4 inches both for kids and for adults. If your bodice front has darts sew those in to both the bodice pieces and the lining pieces. Sew the front pieces to the back pieces at the shoulders with right sides together (you should have two back pieces and one front piece). Repeat for lining. With right sides together sew around the neck edges and and arm holes. If doing sleeves you can put your sleeves in before or during this step if you have cap sleeves or do set in sleeves later. 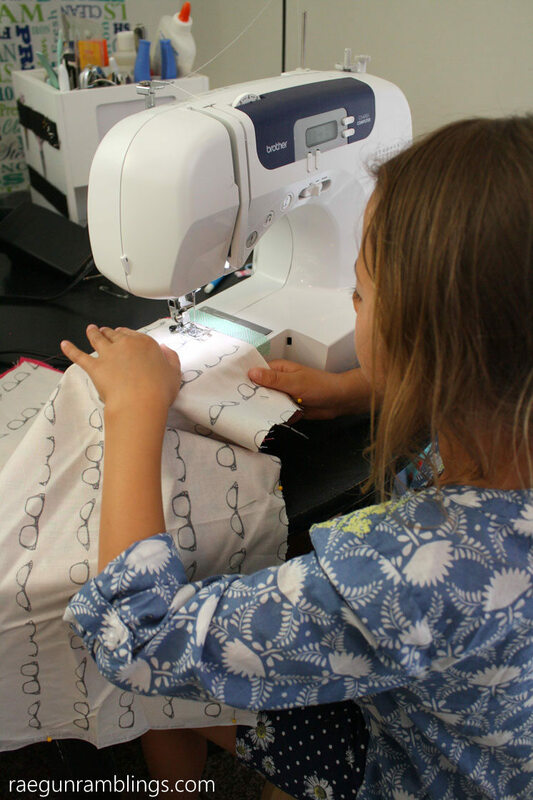 Turn right side out by reaching in through the center back and pulling the fabric of the other side through. Open the back up and and sew it together matching the lining fabrics to each other and the back fabric to each other. Not like this ;) This is just to close up the back. Now you should have a finished bodice that is a closed tube with an extra 4 inches. Basically you sew rows of elastic across the back. 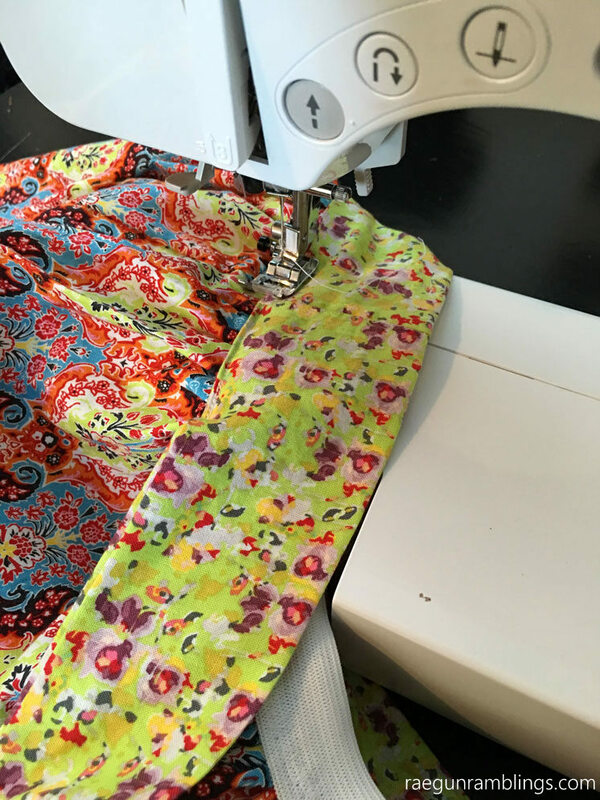 I like to zig zag over my elastic and do the rows in 1 inch increments with the bottom row as close to the stitching line to attach the skirt as possible. 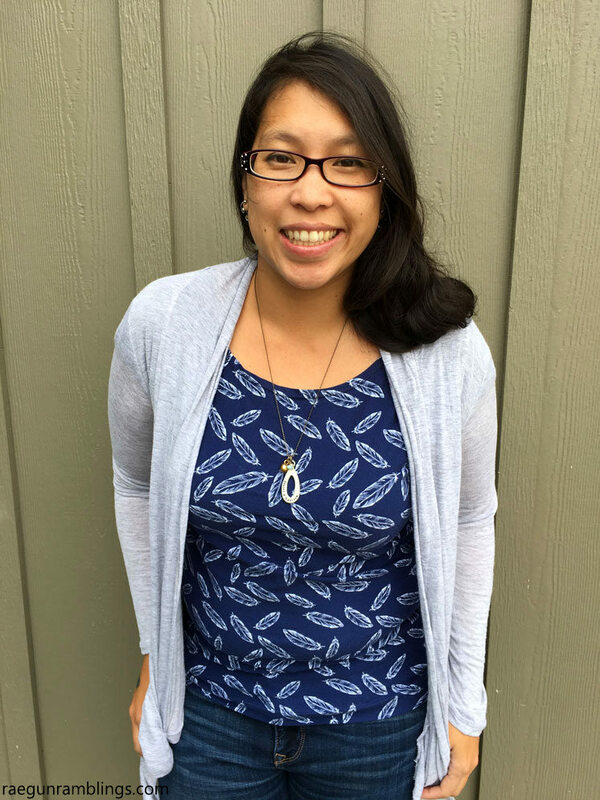 Turn your bodice right side out. I like to serge around the bottom edge just to hold everything in place and pin along the back center seam. 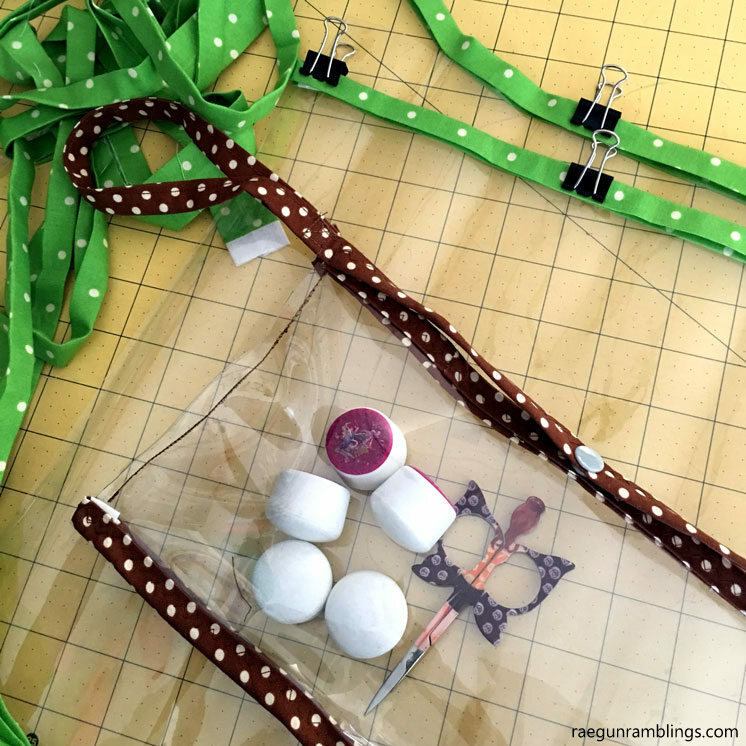 Using your fabric marker draw a vertical line parallel to the center back seam but 3.5 inches to the left. Repeat 3.5 inches to the right of the center back. Draw a horizontal line 1/4 inch from the top edge. 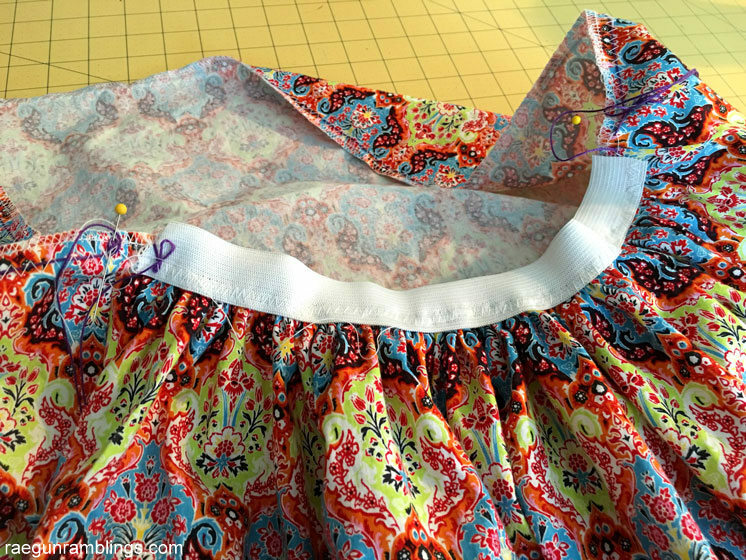 Draw a line 1/8 inch from where you will attach your skirt to the bodice at the bottom edge. For example I used a 1/2 inch seam allowance so I put my lowest line at the 5/8 inch line. Now draw lines about 1 inch about in between those two lines. Depending on how high your bodice is it might not be perfectly 1 inch but I think that’s a good gap although I’ve done larger and smaller gaps before. 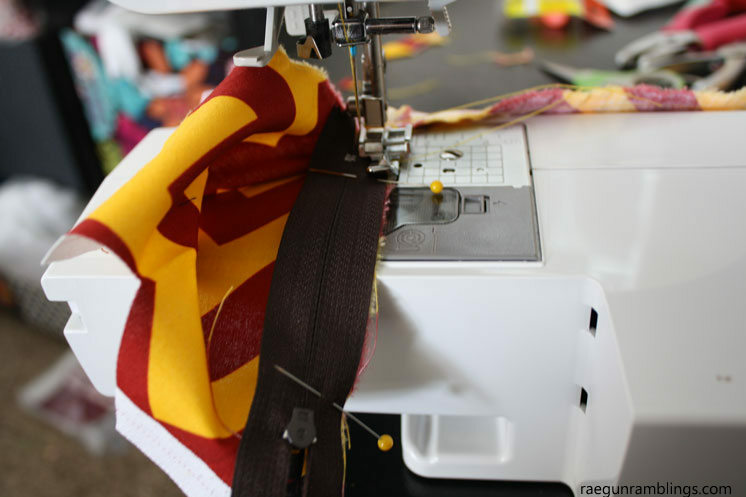 Set your machine to a zig zag stitch that will sew on and through the elastic making sure it sews through the elastic at at least one side of the stitch. 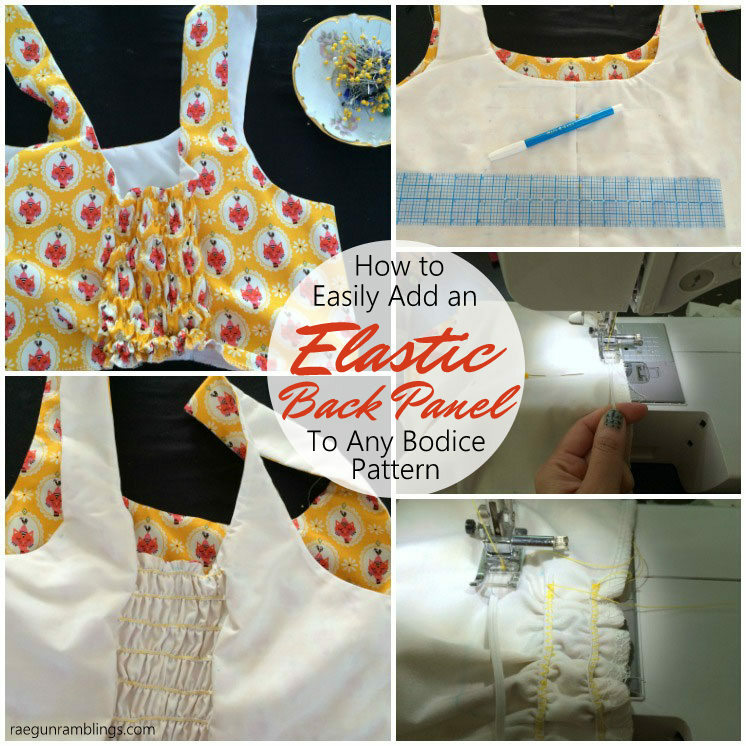 Position your elastic on one of the lines that run horizontally across your bodice. Back stitch a few times and then pull the elastic as tight as you can. 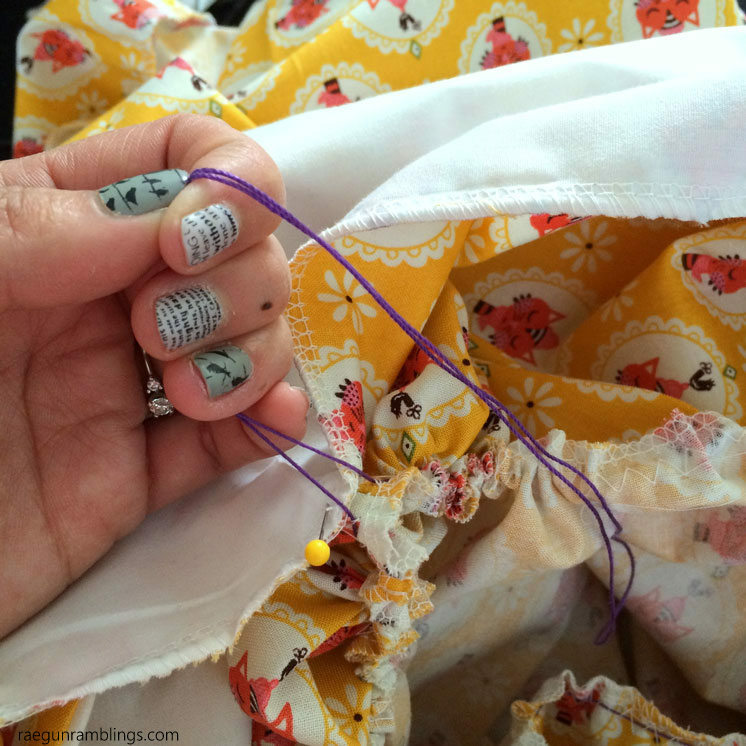 I usually put have my left hand hold the fabric that is behind the needle and I pull it that way while using my right hand to pull the elastic away from the needle and feed the bodice in. 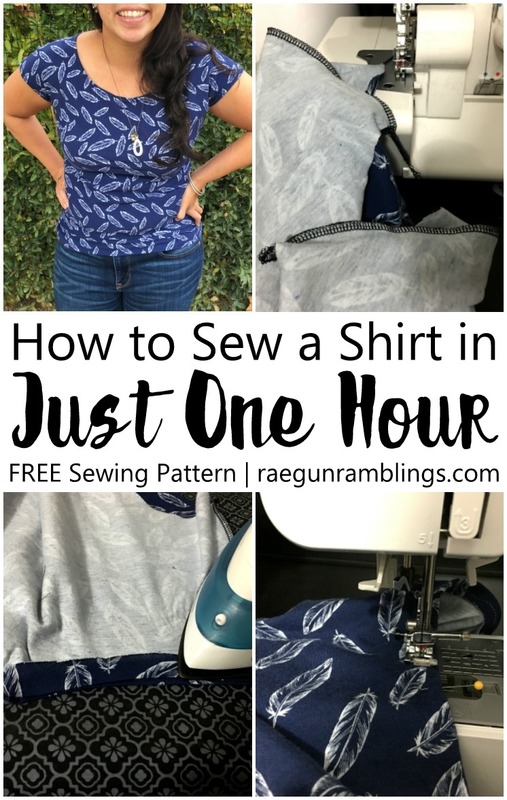 You might want to practice this on some scrap fabric your first few times. 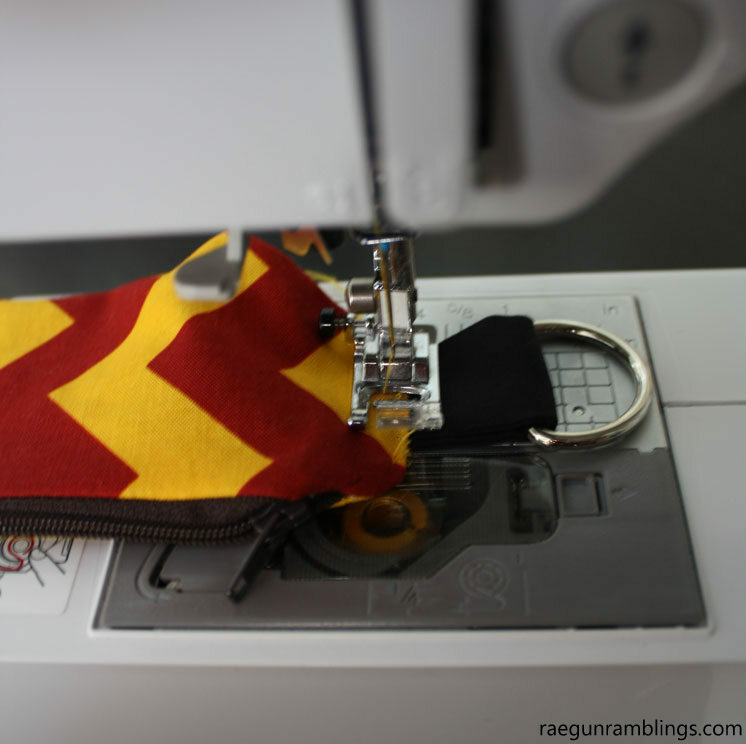 While the elastic is pulled as tight as possible zig zag over the elastic sewing it down to the line stopping at the vertical line you drew and making sure to back stitch. 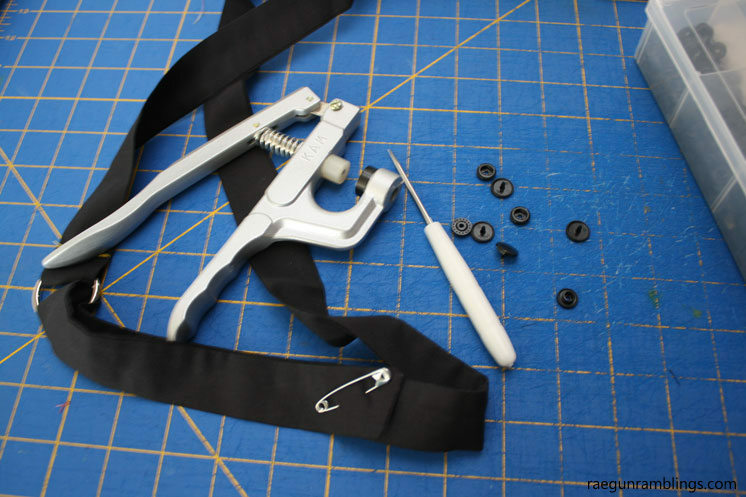 Cut the elastic and threads. Repeat for every horizontal line you drew. 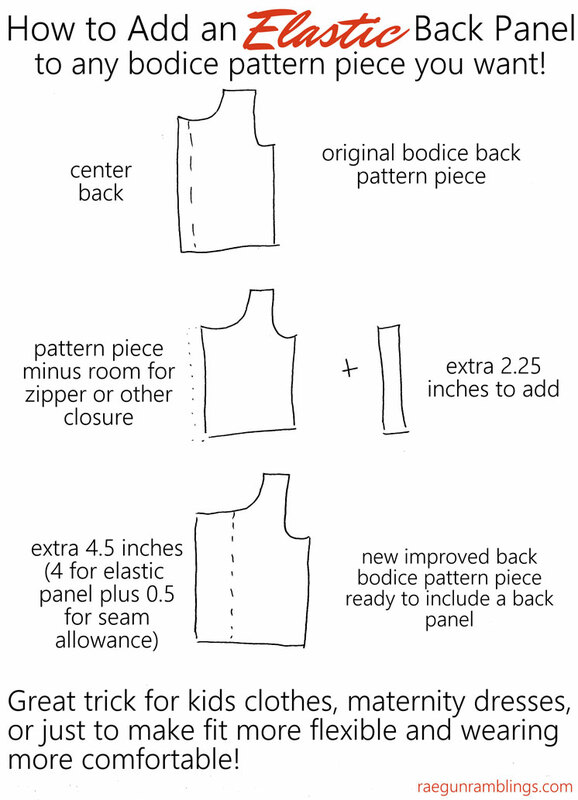 Now you should have your bodice piece with a gathered elastic back panel. 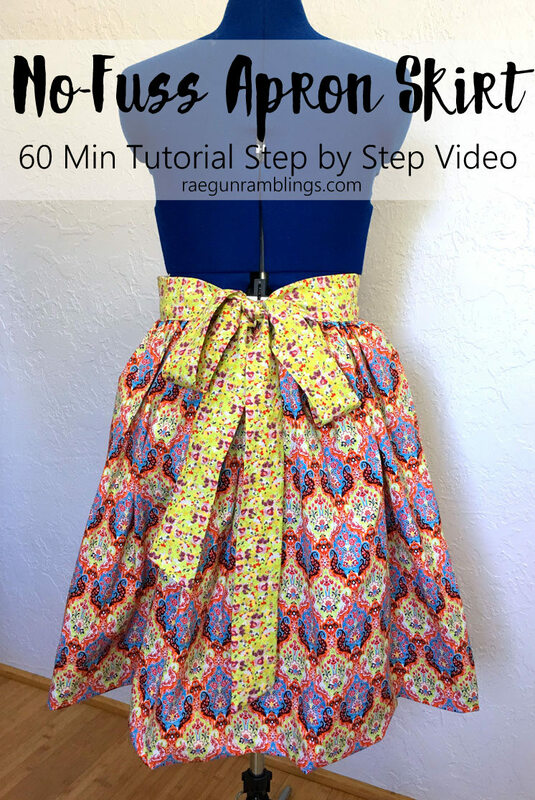 You can attach the skirt but make sure to allow for some ease in the skirt through portion that attaches to the back panel. I stretch the elastic out while I sew the through that area so it can stretch over my shoulders and bust without a problem. 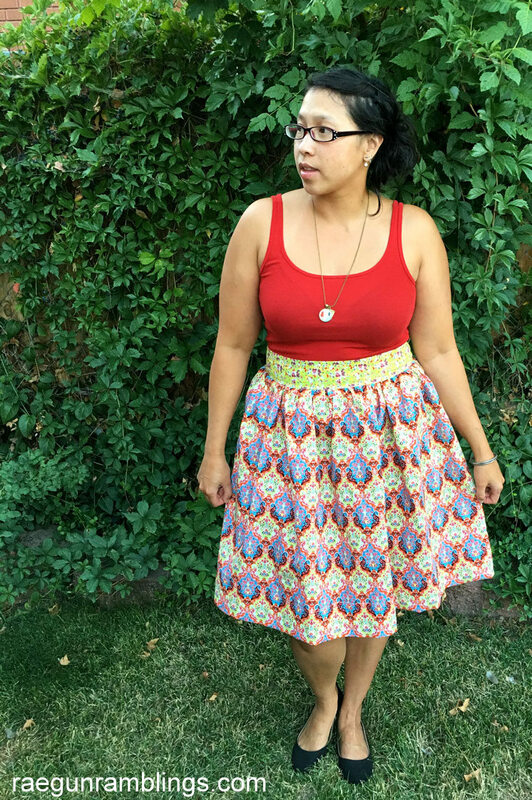 I have attached a fully gathered skirt like the one on this cat dress but I’ve also done a non-gathered aline skirt for a few dresses I made while I was pregnant. I still wear these often post-babe. 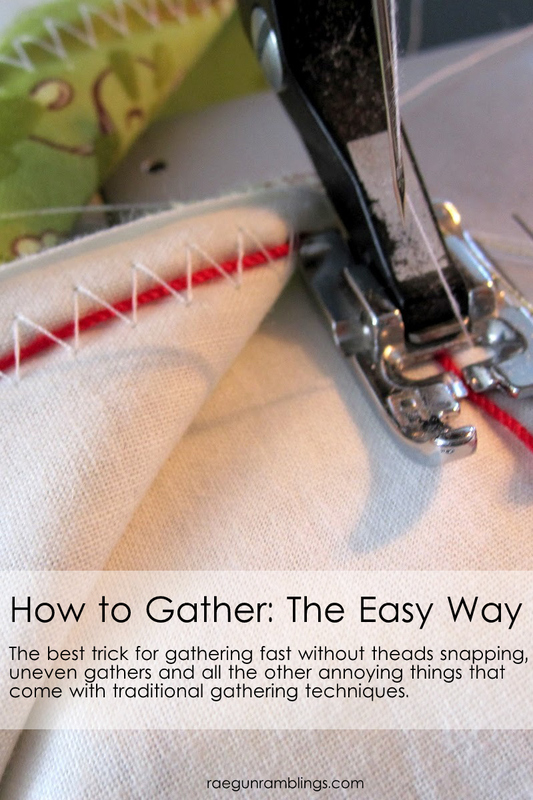 If you are doing doing a fully gathered skirt I highly recommend using my cheater gathering method to gather your skirt piece it makes it so easy to get the gathers even while never running the risk of snapping your basting threads. Now let’s talk about this dress. Don’t you just LOOOOOOOVEEEE the fabric? 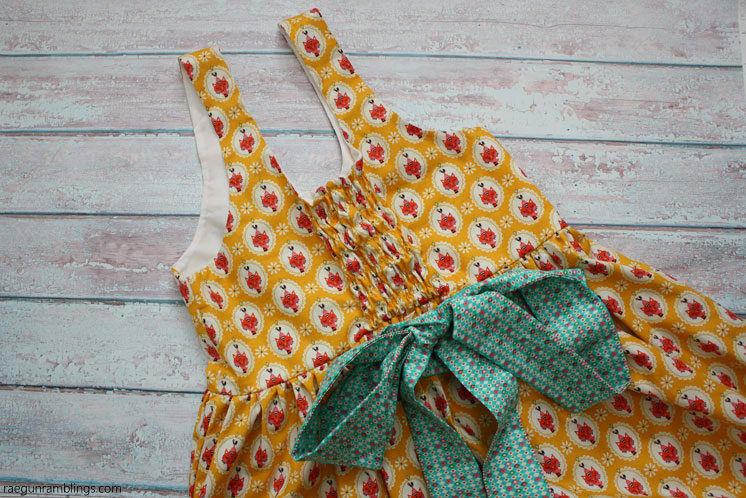 The cats are Kitchen Cat in Yellow from the Vintage Kitchen line designed by the super talented crazy creative Andrea Muller of Jolijou for Riley Blake designs. 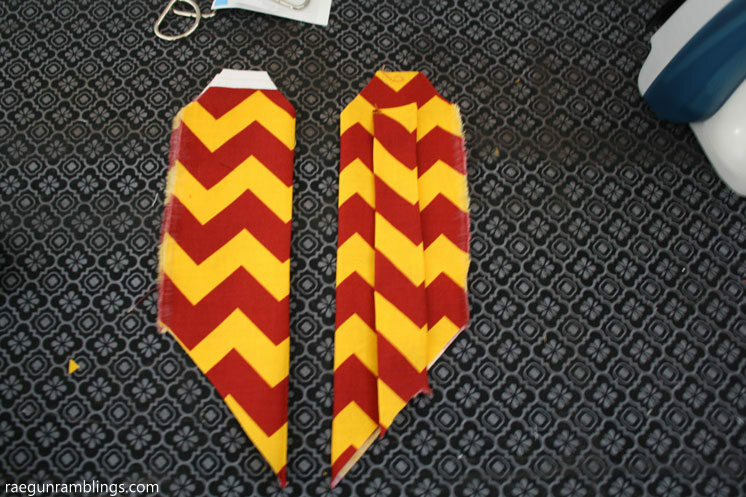 And the sash was made out of Kitchen Harlequin Teal from the same line. 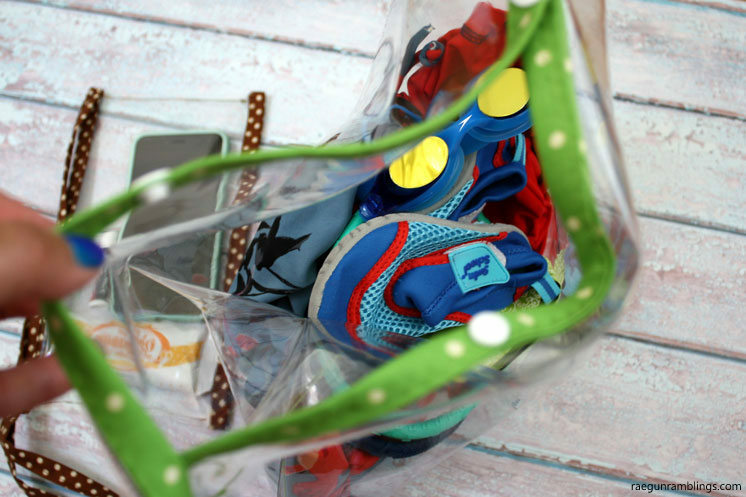 I am a huge fan of Riley Blake cottons they just have the perfect weight in my opinion. Thick enough that I don’t have to line the skirt but not too thick that it feels heavy with one layer. 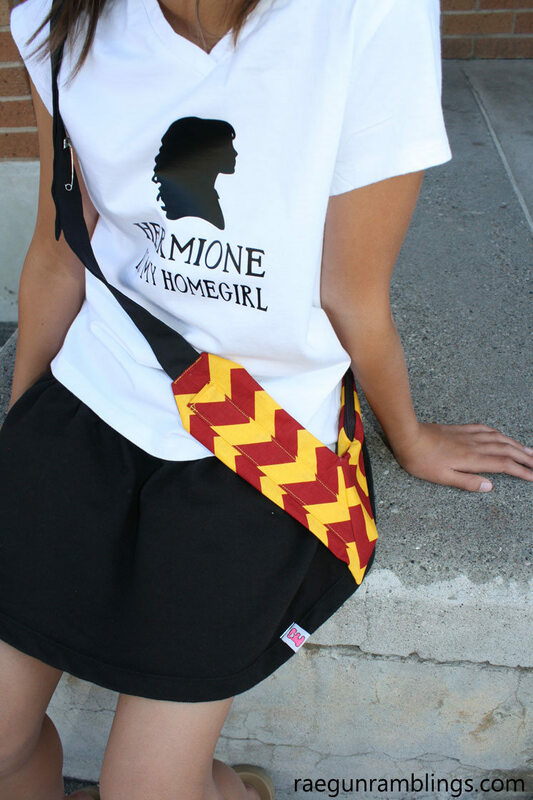 Make sure you check out the other awesome creations made from these cool fabrics. 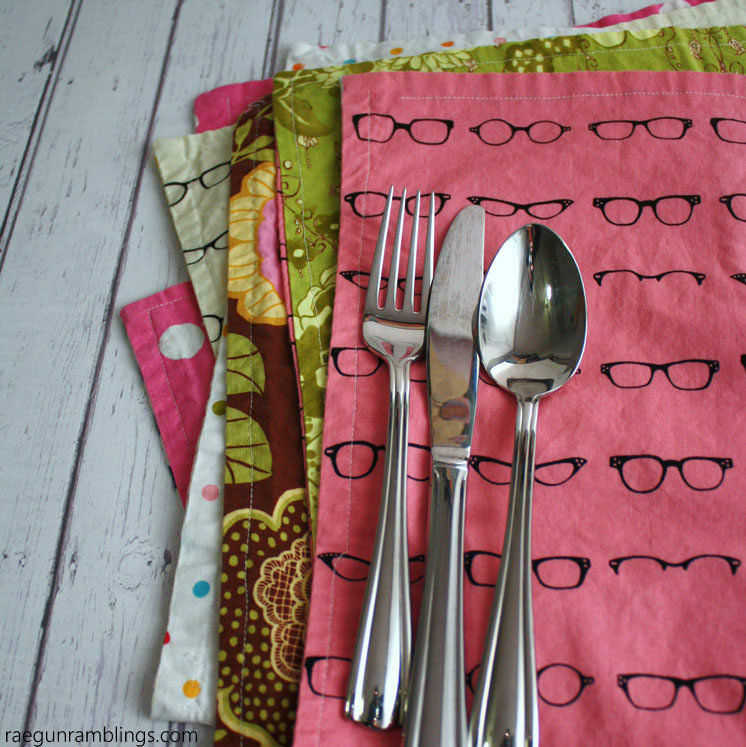 I wish that I was a quilter so I could have used all the different prints and color options I really love them all! 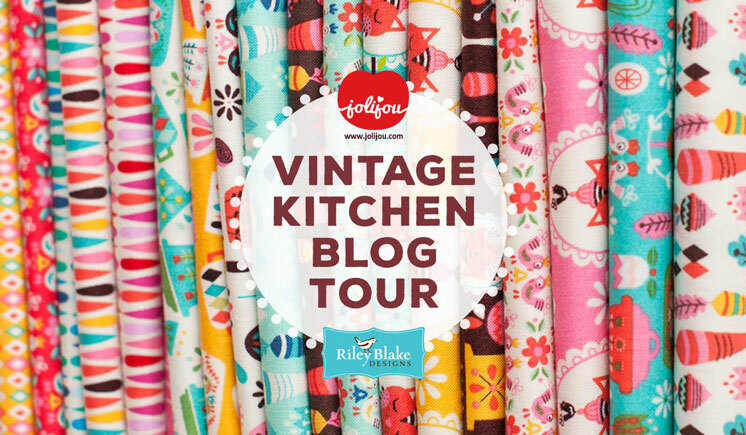 Here are all the blogs that have been a part of the blog tour for this fabulous fabric line. 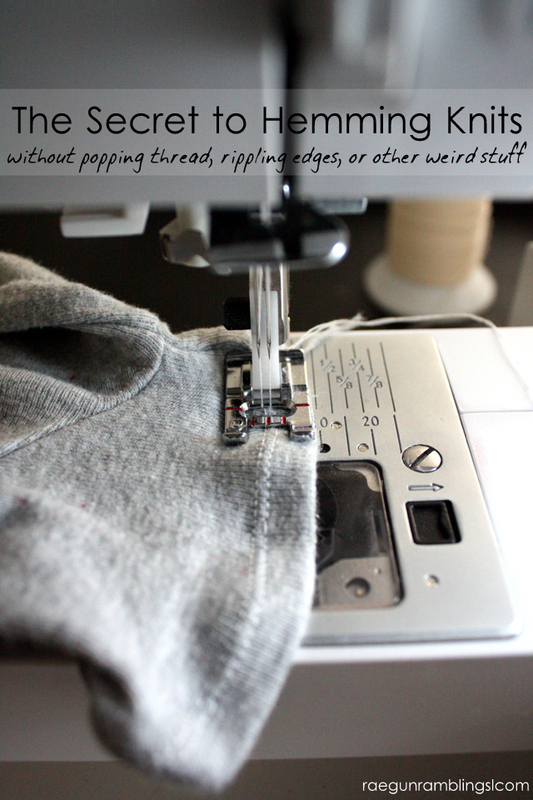 This trick for hemming knits is so easy you have to try it! 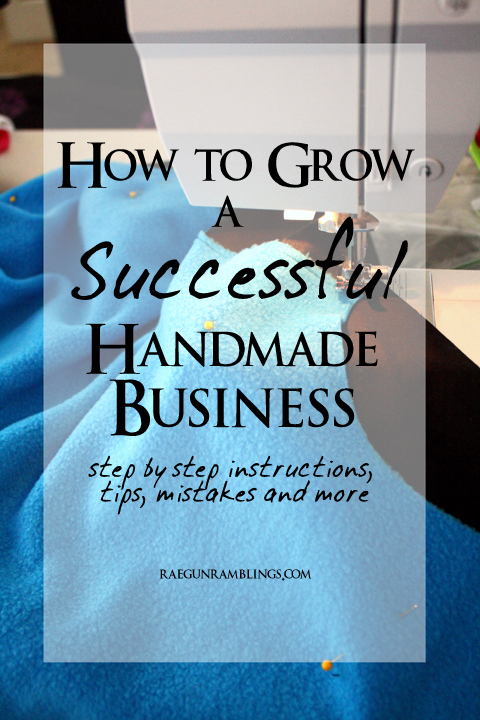 If you’ve ever considered turning your craft into a hobby you should read my own Creative Business journey that’s full of tips and tricks I’ve learned a long the way! Chocolate covered strawberries are one of my favorite treats this trick will help you get them perfect every time.